Most makers want steeply climbing sales, a line-up crammed full of popular SUVs, plug-in hybrids and pure electric models for eco-minded customers and an R&D department that's working flat out on the self-driving car technology of tomorrow. Ferrari isn't like the others. It's not just bright red paint, sleek shapes and high-revving engines with blaring exhausts that make the Italian brand stand out — the company has a unique approach to the business of car making. Ferrari doesn't want more customers, or at least not many. It doesn't want to cash in on the SUV boom. It's not interested in making noiseless electric cars. And it will never produce an autonomous car. "Over my dead body!" is chairman Sergio Marchionne's response when asked whether a self-driving Ferrari is under consideration. "You'd have to shoot me first." 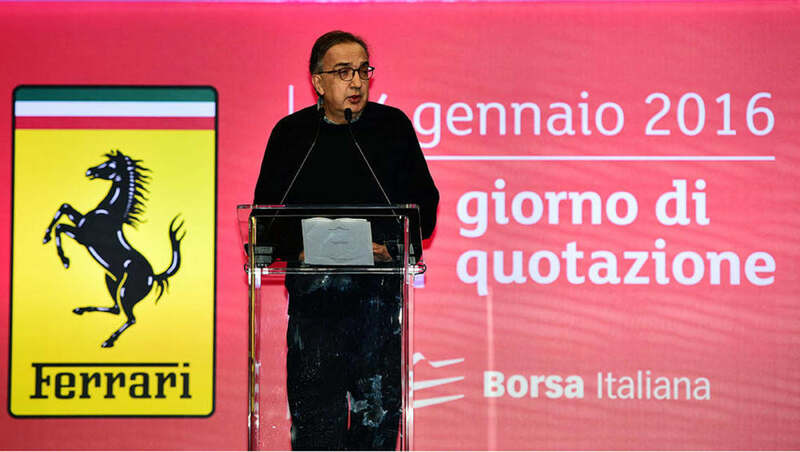 The 63-year-old Italian-Canadian executive, who also heads Fiat Chrysler Automobiles, outlines Ferrari's future with characteristic bluntness at the company's invitation-only English-language press conference at the Geneva motor show. "It's almost an obscene concept," is Marchionne's answer when asked about a silent Ferrari. "The sound is an integral part of what we sell. "The last time I drove a Tesla (electric car) it was almost like turning on the radio. This is not Ferrari. We won't do that." But the hybrid technology developed for Ferrari's Formula One racers eventually will make it into the company's road cars, he says. "That knowledge, that know-how, is in some form going to work its way (to) the passenger car side." What's more, Marchionne makes it clear a Ferrari hybrid won't be the plug-in type able to run for some distance purely on electric power. Engines will remain an integral part of what Ferrari does, he says, even teamed with an electric motor. "It's gotta have a sound and it's gotta be combustion-driven sound." Unlike Lamborghini, Maserati, Bentley and other high-end brands, Ferrari isn't going to produce an SUV. It's not in the brand's thoroughbred DNA, Marchionne says. "Issues like SUVs, that kinda stuff we do not play with." Nor is Ferrari interested in selling more cars. "Below 8000," is the target for 2016. "That's the guidance that we gave to the markets in January, and we're holding it." The production tally for last year was 7664. Marchionne foresees Ferrari finding new customers but not for its cars. The company already caters to F1 fans "in need of objects that identify themselves with that part of Ferrari, the Scuderia". The next step will be "products which are similar to the cars but not cars" — he envisages premium Ferrari-related merchandise that doesn't damage the DNA. "It's gotta be relevant to the car. It is the next phase in the development of the house. I think the ultimate test of Ferrari is now to see how well they can execute this luxury extension." "The capacity of these machines that provide a unique driver experience is a function of two things," he says, "the technology that we give them, and the ability to drive. "I thought I was halfway decent. I'm actually a schlock. "You're almost intimidated by the machine, because you realise that you're just skimming the surface of what it can give you." Ferrari will expand its driver training program, he promises, over what it's done in the past. "I think we need to reinforce that effort, I think we need to globalise that effort." Would you like to see Ferrari make an SUV? Tell us in the comments below.